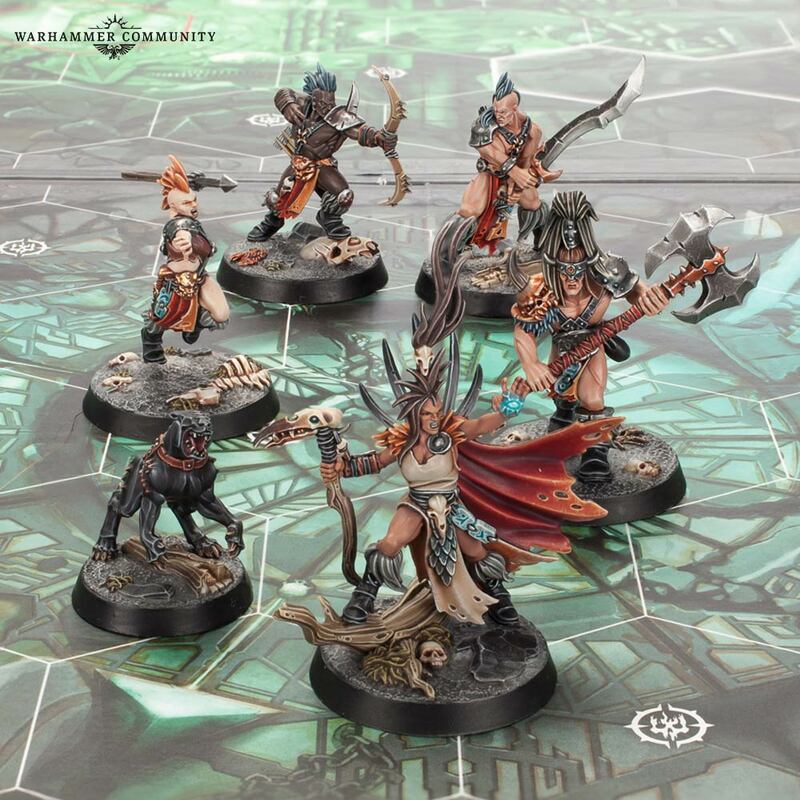 The Godsworn Hunt Warband is coming to Warhammer Underworlds as a new option to play in the current season of the game. 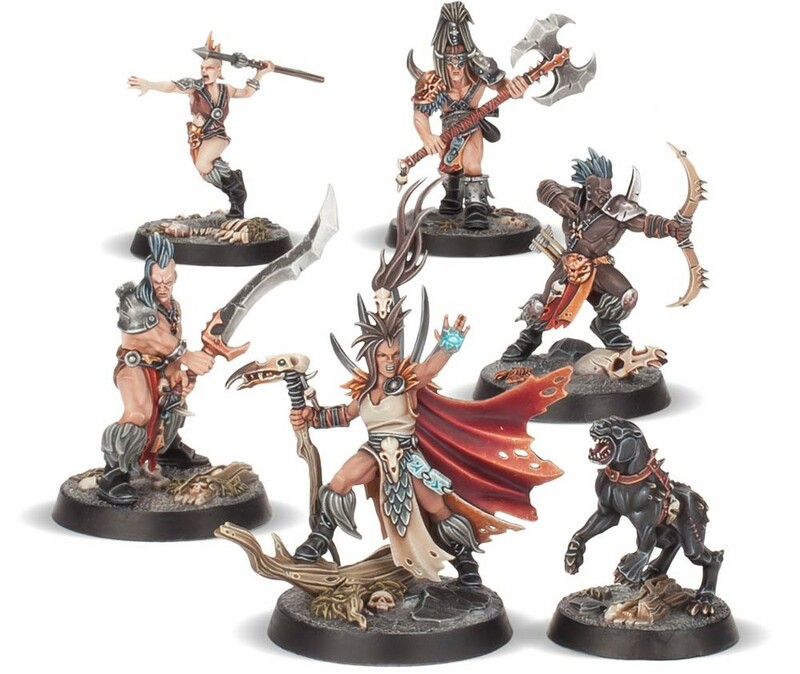 They are bringing wizard to the game (which was a new thing for the seasons of Nightvault) and they seem like a pretty cool Warband to play. They are a pretty flexible lot of fighters that will be able to cast spells, have a number advantage, AND pack a punch in combat. But those are not the reasons we’re most excited to see them come to the game. You can see the shift here – they had the more “realistic” scale of muscles, the Mohawk-lite look, and a nod to the future armored pauldron and leather straps. 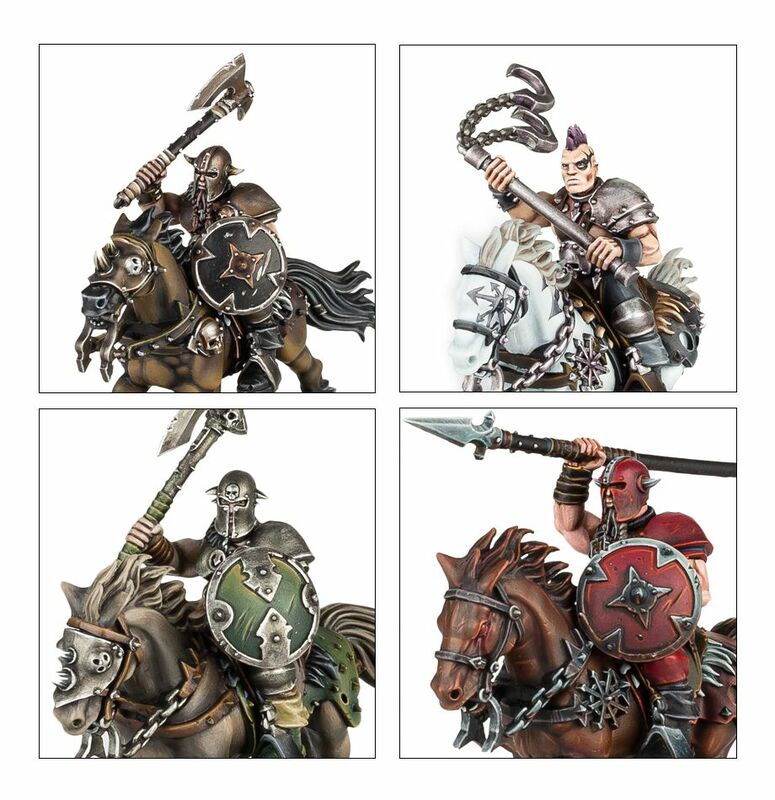 The Godsworn look like the designers took those elements from the Marauder Horsemen and just dialed them up a few notches. 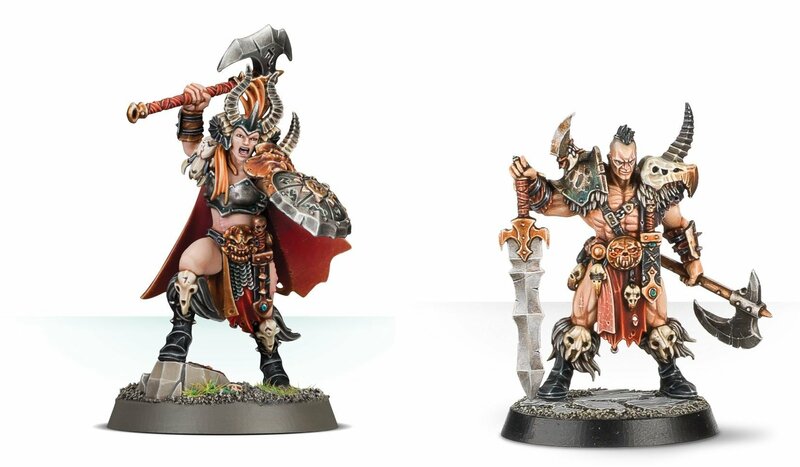 I also can’t wait until these models get a revamp…but that’s another story. 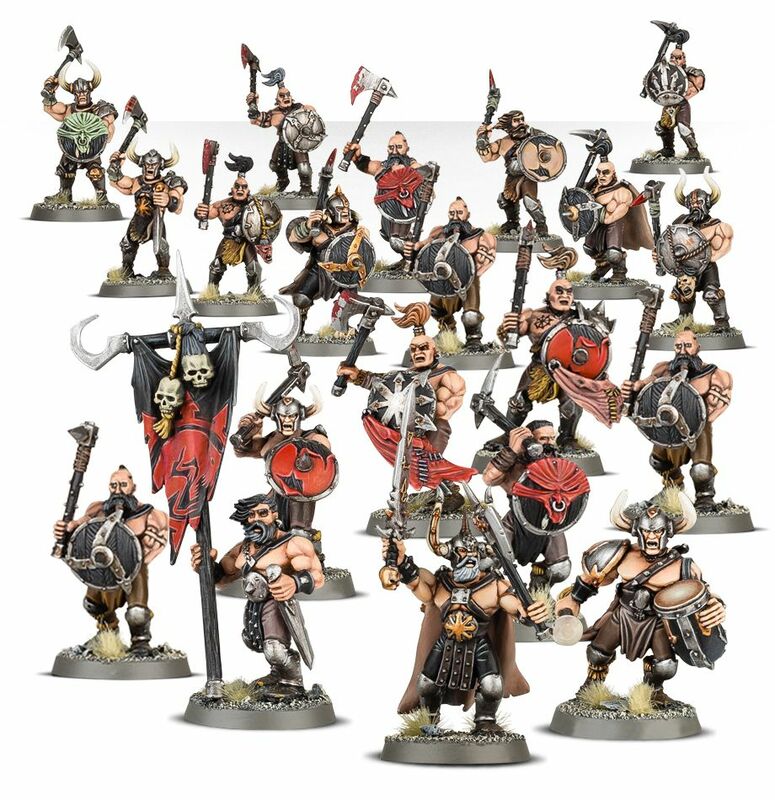 Again, I’m are excited to see a new warband coming to Warhammer Underworlds and if you want to preview their rules, you can do that HERE. 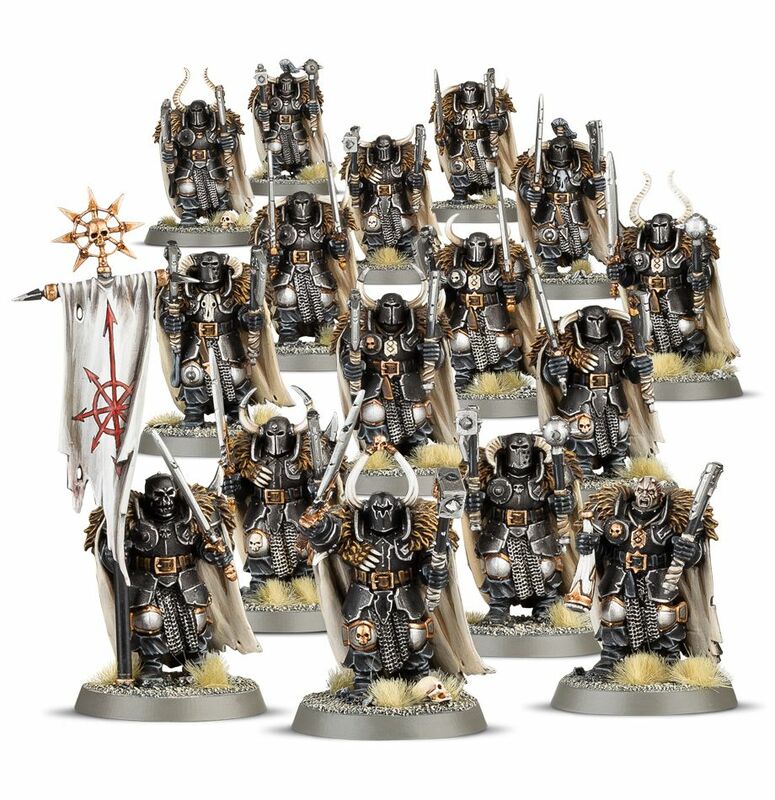 But I’m most excited with the idea that these models might just be the future of the Chaos Marauders – and it’s about freaking time! Bring on the crazy and wild chaos hordes!